Unique baby cribs don't come any better than the AFG Naomi 4 in 1 Crib in White. This convertible crib is made out of solid pine for durability. This particular AFG Crib has three position mattress support, wide slats for sturdiness and converts into three different beds. Conversion is easy into a toddler or day bed with the enclosed toddler rail. 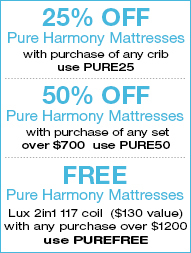 Conversion from a baby crib to a full bed will require the purchase of an additional full bed rail. Finished in a clean white finish, this unique baby crib will work with any decor and goes from the nursery to a toddler's room with ease. 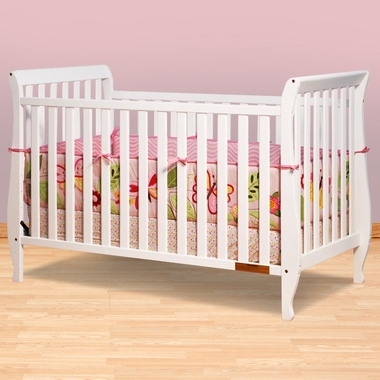 Convertible Crib measures 57" x 29" x 38"